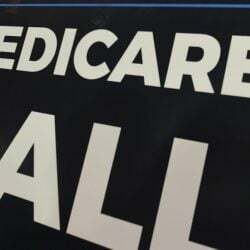 Players on Tuesday said privatization would likely lead to higher costs and a less welcoming atmosphere. PORTLAND – As the city begins deliberations about what to do with the Riverside Municipal Golf Course, golfers on Tuesday expressed anxiety about possible privatization, fearing it would become too expensive to play there. The city hired National Golf Foundation Consulting in June to study course operations and make recommendations for improvements. Operations are funded through greens fees, memberships and other sales at the course. But revenues have fallen increasingly short of costs, forcing the city to use tax dollars to keep it running. The course has lost about $200,000 since 2001. The consultant reported that $1.1 million in improvements – mostly in clubhouse upgrades – are needed for the course to be competitive. The city should either lease the course to a private group to operate and maintain, the report said, or treat it like any other park or public trail and make strategic capital investments. 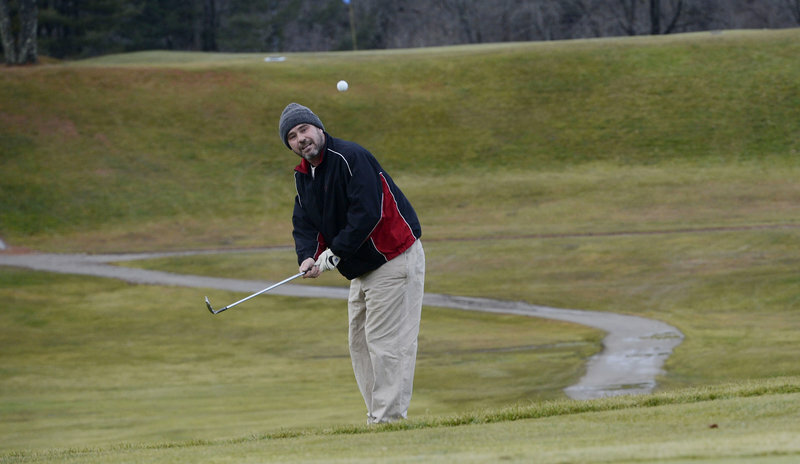 On Tuesday afternoon, golfers playing in the chilly 41-degree weather added their opinions. Nick Poulos, 87, and Bo Coombs, 71, Portland residents who have been members for about 60 and 50 years, respectively, were among those walking the course. “If they put some money into this place it would be a draw and a half,” Coombs said, before ripping a short but straight tee shot down the middle of the fairway. “It was built for the people of Portland, Maine,” said Poulos, who was carrying his bag. The Riverside Golf Course first opened in 1932. A grant from the Workers Progress Administration funded an expansion to 18 holes in 1937, while ensuring public access to the course. Golfers fear that a private company would increase greens fees and implement rules that would make the course less affordable and welcoming to the public. Mark McCarthy, 46, said the course is in good condition and fees make it a workingman’s course — a place where residents can get in a quick round after working all day. “This is the type of course an average player can come and play 18 holes … and not have to spend five or six hours doing it,” said McCarthy, who does tree work for a living. But fees may go up regardless of who runs the facility, which is used for skiing and sledding in the winter. The foundation recommends an increase in fees because the ones at Riverside are on the lower end for municipal courses. The group says Portland’s annual membership fees are the lowest around. In 2012, a resident was charged $34 for 18 holes on the North Course during the weekend and $30 during the week, and non-residents were charged $36 and $34, respectively. The consultant said the city should fine-tune its pricing based on demand and begin charging for winter operations, such as sledding or Nordic skiing, which costs the city about $20,000 a year. The foundation recommended more than $1.1 million in upgrades over the next five years. The top priority is repairing the main clubhouse at an estimated cost of $800,000, or replacing it for about $1.5 million. That alone could help reverse a decline in membership. “The present condition of the main clubhouse is negatively affecting total facility revenue,” the report states. Riverside had just 380 members this year, compared with 543 in 2009. Annual passes brought in $232,926 this year, compared with $300,783 in 2009. The consultant also noted the “strong” revenue potential of reopening the driving range that was closed in 2005. The range could be reopened with an estimated investment of $20,000 for new netting, improved turf and new range balls. The City Council’s Finance Committee met with the National Golf Foundation on Tuesday to review the report. Richard Singer, a company principal, said courses throughout the country are seeing revenues fall, but Portland’s decline is more severe. 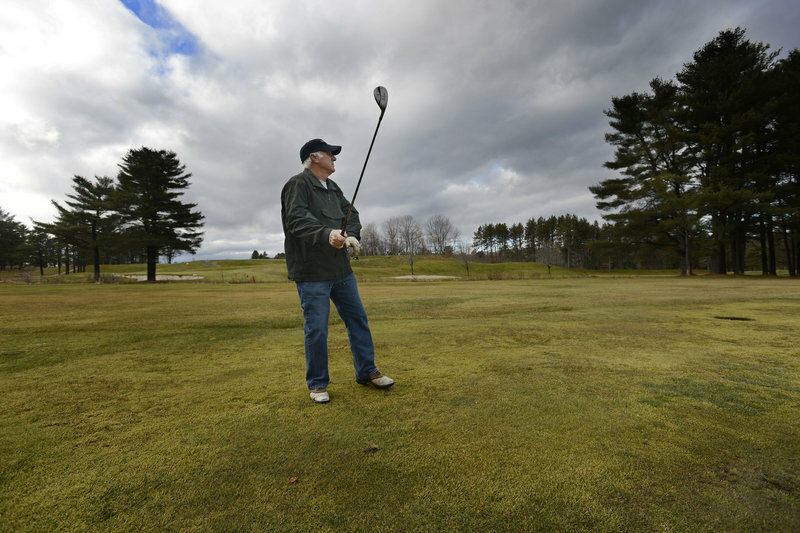 Complicating the issue is the short golf season, local competition and flooding that occurs because of its location near the Presumpscot River. He said the city should not expect a large cash payment from a private operator, but should require a significant investment in the course in exchange for a lease of 15 years or more. If the city chooses to continue operating the course, it should stop reducing the operating budget to meet revenues, Singer said. That habit has led to deferred maintenance, which has made the course less attractive to golfers, he said. He said the manager should report to the Recreation Department, rather than Public Services. The course should also have a strong on-site manager who can make decisions without interference from City Hall, Singer said. With 20 courses within 15 miles of Portland, Riverside needs to better market itself. It also has to manage expectations and entitlements of members, who the group says can make newcomers feel unwelcome, Singer said. Councilor John Anton, who leads the committee, directed city staff to study the different options for running the course and report back to the committee in January or February. Councilors Nicholas Mavodones and Jill Duson said they would like to see the city treat the course like its ball fields and ice rink and invest in it without concern about profit.